Most translations of The Odyssey are in the kind of standard verse form believed typical of high-serious composition in the ancient world. Yet some scholars believe the epic was originally composed in a less formal, phrase-by-phrase prosody. Charles Stein employs the latter approach in this dramatic, and in some ways truer, version. Famous episodes such as the sirens, Scylla and Charybdis, and the Cyclops, are rendered with previously unseen energy and empathy. The poem’s second half—where Odysseus, returned home to take revenge on his wife’s suitors—has extraordinarily subtle, “novelistic” features that are made more transparent in this version. 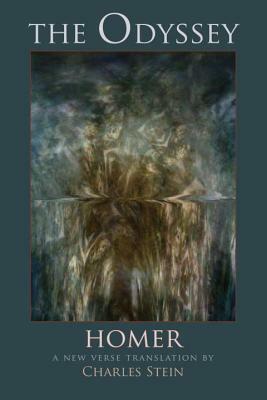 There is also a special feel for the archaic dimensions of Homer—the world of gods and their complex relations to Fate and Being that other translators tend to deemphasize in order to make the poem feel “modern.” Most versions exclude or minimize the magical aspects of the poem, but Stein gives these elements full play, so that the spirit of a universe predating the classical era shines through. This vibrant version of The Odyssey shows readers not only what the Greeks thought about their gods but the gods themselves. Summaries preceding each chapter and a list of recommended websites help expand the experience.